Many people said that they liked the Idea of me reading the faces of the BTS members. So I decided to analyze their faces! I will analyze just 1 member each time. This way I can concentrate on the individual. Let me know who I should analyze next! Before I start I want you all to know that you can't analyze a persons face based on 1 characteristic that stands out. When you decide to analyze someone's face you should do it as a whole. 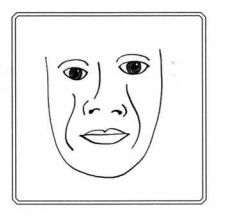 For instance, if a person has 1 bad characteristic in his/her face this doesn't make the person instantly 'a bad person'. On the other hand if a person has multiple bad characteristics that are prominent in his/her face it's more likely the person is not a good person. 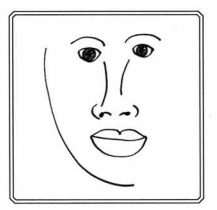 Also, when a person has prominent features in his or her face that stand out it's a more reliable indication of the real persona of the person. Also, we should keep in might that the members most definately have had some alterations to their faces, like botox or plastic surgery. I don't know what kind of alterations they might have so I will only state what I see. I will start analyzing with RM's (Rapmonster) face. Many people said in the forum that they find his face scary to look at. Lets see if they were right! It was hard to pick a picture, but I chose the picture below because he looks right into the lens and he looks natural. It's important you chose a picture that's somewhat neutral. I will try to explain things with giving pictorial examples I found in a book. This way you can use what you learn from me in your own life. When we look at the photo above we see that the forehead of RM is 'Square'. This means he is very career driven and works for long hours at the office. In his case he works long hours in studio's etc. 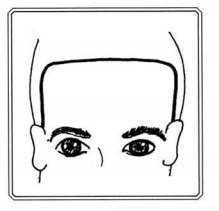 This forehead shape also means he's very focused. 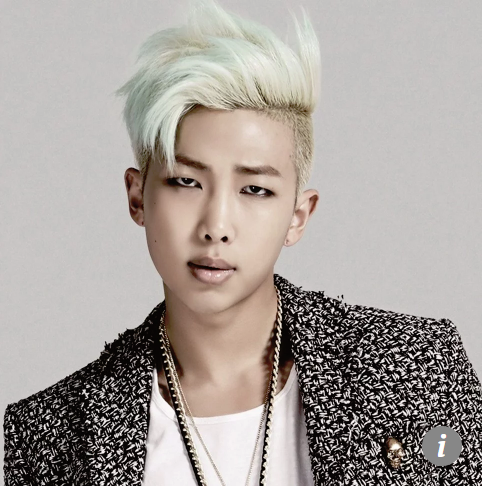 I looked at other pictures of RM and saw that he has a slight 'Widows peak' aswell. People with this kind of forehead don't like to be told what to do. They like relaxed life styles and dressing cassually. Another trait is that people with this forehead are very creative. In the picture above you can see RM has a tiny widow's peak. Another thing I noticed is that he has a relatively high forehead. People with high foreheads are clear thinkers, planners. They're also known as good strategists and most often think in Big terms. 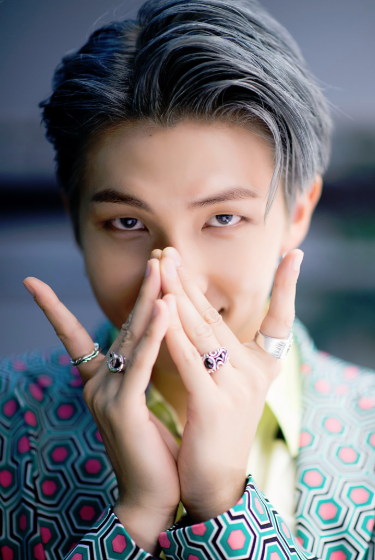 When we look at RM's eyes we can see it's small. 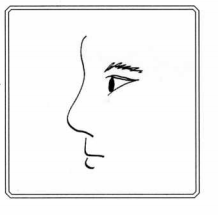 People with small eyes pick up minute details in other's behavior or in environment. All the people who said in this forum that he's always controlling the behaviour of other BTS members were right! It shows clearly in his face. People with these eyes are deep thinkers, philosophical and introspective. Rm Has no visible eyelids in the above pictures. People with no eye-lids are planners. They like to set systems for other people to follow. They're list makers. 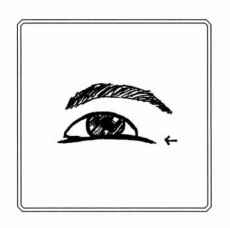 The lower area of Rm's eye are flat/ straight. People with this characteristic are cautious and wary. They like to "wait to see" The very 1st picture I posted of RM show clearly that he has a very flat lower eye area. He should be wary indeed, now that he has indulged himself in the occult. Rm has high eyebrows. People with high eyebrows generally have high standards. They're not easily impressed by other people. They're also selective of close friends, but are loyal. 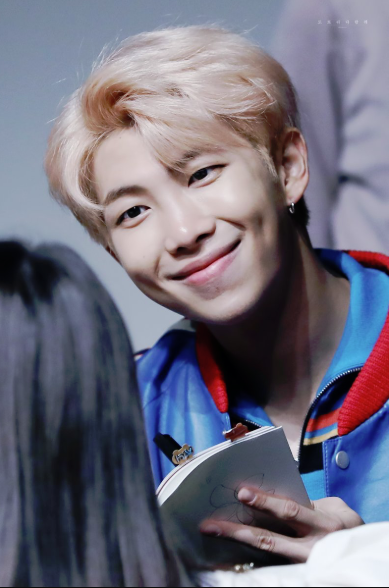 In all pictures of RM he has thick eyebrows. This indicates he is Abrupt, dominant and intense. 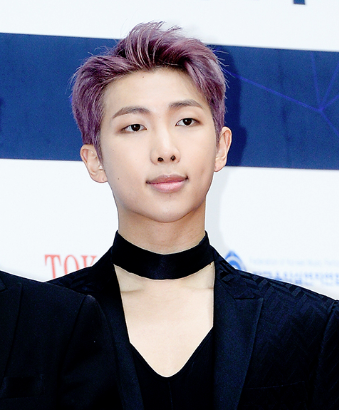 Rm also has very arched eyebrows in the above pictures. This indicates the following characteristics: Powerful, dramatic, artistic, loves plays, dance, theater. Enjoys bright colours and also, he may have a short temper. He clearly has some dimples and this indicates he has a great sense of humor. People with dimples see joy in everything. 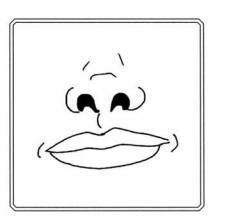 A large nose indicates Wealth. 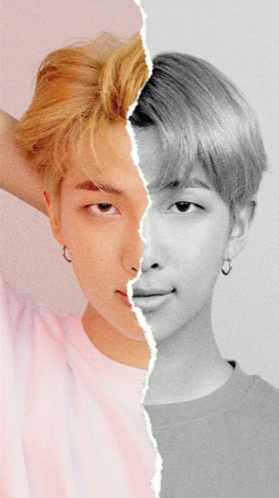 RM has a large nose compared to the other members. From all the pictures I've seen of RM I noticed he has very visible nostrils. People with this characteristic like to spend money! It indicates ; "money comes and money goes". They give out money and start saving again to give it out. It's an endless cycle. People with small mouth are self-absorbed and have a rich fantasy life. They would be great actors. At the picture below you can see he has a small mouth. 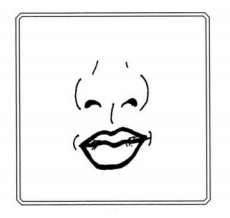 (I'm not talking about the thinkness of the lips, but the wideness of the mouth). The smaller the mouth the more narcisstic tendencies a person has. 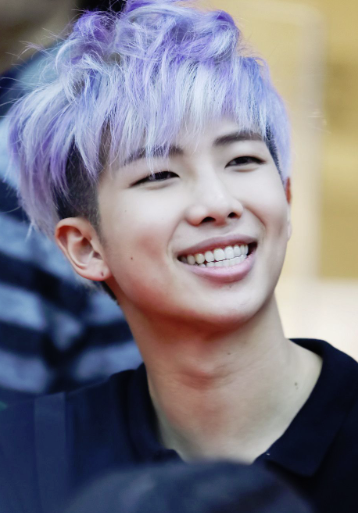 Rm has very prominent naso-Labial Lines around his mouth. This indicates that he is able to talk with anyone about anything. People with this characteristic have great communication skills. When you look at someone on eye level and see the white (Sclera) showing under the Iris RUN for your life! No, but really run only if you see more dangerous signs. I will talk more about dangerous facial features in another post if you all want to know more. In the 1st picture of RM above you can see that his Sclera is showing when he's on eye level. This isn't a good indication, because it means he's emotionally unraveling, very dangerous and vicious. In the picture below you see it more prominantly in his left eye. 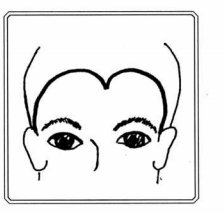 The left part of the face indicate's how he's in his businesslife and the right part of the face tells about how a person is in his personal life. I hope you all enjoyed my analyzis! I would like to hear what your thoughts are about my observations! Also let me know who I should analyze next!